Food Chemistry magazine has fascinating research articles on Kale. I have been reading through a few to find what the best ways of cooking or storing Kale are. The ways that would allow me to preserve the most antioxidants and antioxidant activity. It seems obvious that boiling of vegetables leads to nutritional value loss. This is why steaming vegetables is much better than boiling them, unless you are utilising the stock. Well, one research article shows that there is no change in antioxidant activity after cooking Kale at 100C. Isn’t that incredible! In our first post on Kale we were talking about the defending mechanisms of Kale. So, it was found that the reaction products compensate well for the loss of antioxidant activity existent in the uncooked Kale. Another research article found that frozen Kale can be stored for 6 months and there will not be a change in antioxidant activity. 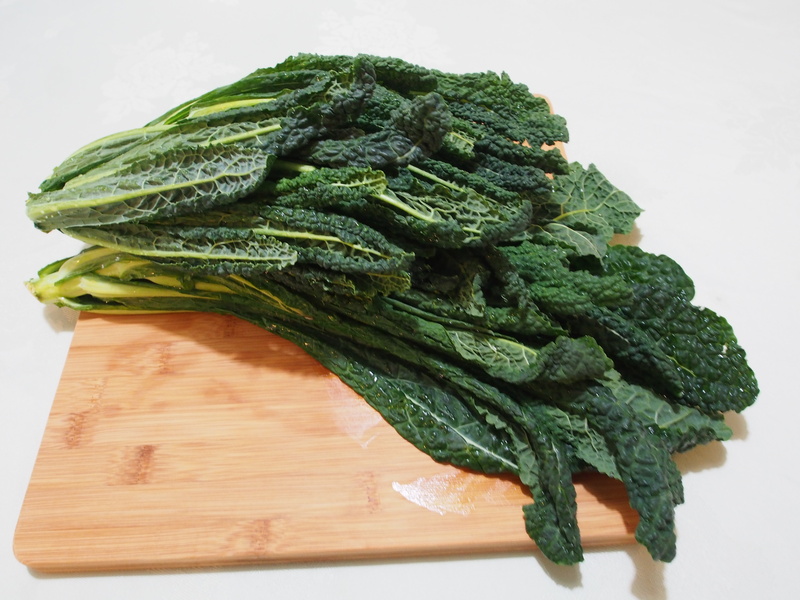 For this recipe below, Kale can be prepared as needed and stored in the freezer. I used different Kale this time. And I am finding that Tuscan Kale is easier to use. 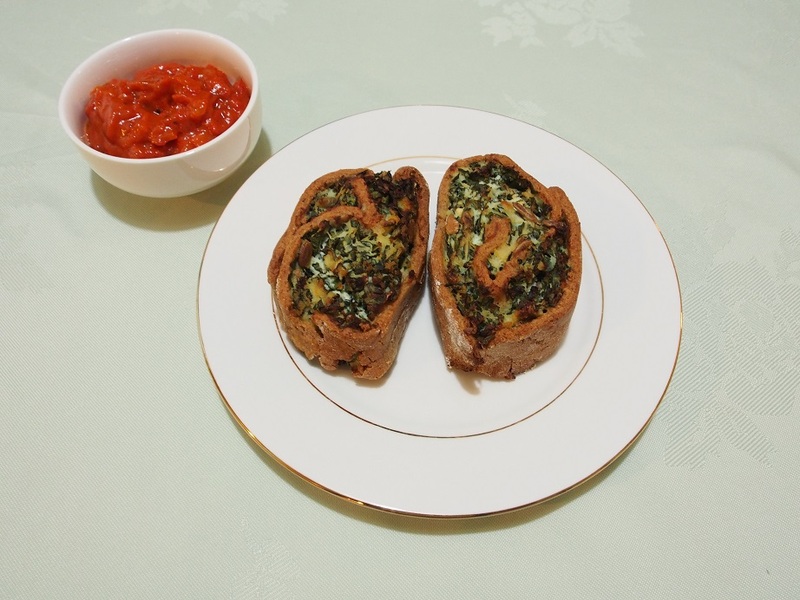 Kale rolls can be baked or steamed. The baked version is crunchy, whereas steamed rolls are soft and tender. Both go well with some spicy relish, like Tomato and Capsicum. 1. Mix soda and buttermilk (or plain yoghurt) to allow the ingredients to react. 2. Prepare a dough by mixing all the dough ingredients and leave it covered. 3. Dry fry the sunflower seeds until light brown, then crush them in a mortar. 4. Finely slice kale leaves. Splash 2 tablespoons of water into a pan, season and sauté kale for 3-4 minutes. 5. Thoroughly mix all filling ingredients until you get a consistent mixture, no chunks of ricotta should be seen. 6. Knead the dough and divide into two parts. Using the extra flour, roll each part into a thin sheet. Spread the filling over the sheets of dough and roll into a roulette. Cut the roulette into 2cm pieces. Push one side of the pieces into the rice flour, shake off and place onto the baking paper this side down. Bake at 180C for 30 minutes. Cut each part into two and steam for 25 minutes. Once ready, slice as desired. 8. 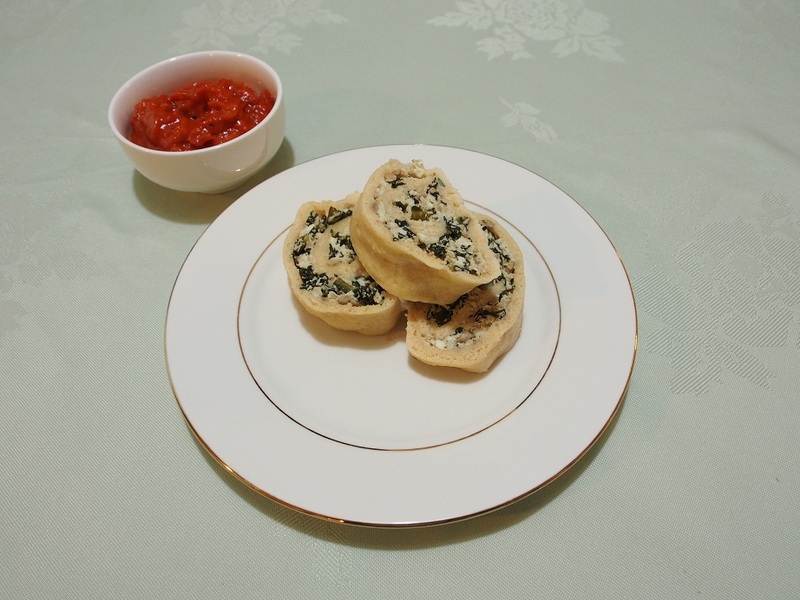 Serve with capsicum and tomato relish.